Home / Bill Nighy / Colin Farrell / Columbia Pictures / Jessica Biel / Kate Beckinsale / Len Wiseman / movie / Sony Pictures / Kate Beckinsale, Loving Wife Turned Killer in "Total Recall"
Kate Beckinsale, Loving Wife Turned Killer in "Total Recall"
The film is directed by Len Wiseman, Beckinsale’s real-life husband of seven years. The two previously worked together on the “Underworld” films. In the movie, Rekall is a futuristic company that can turn your dreams into real memories. For a factory worker named Douglas Quaid (Colin Farrell), even though he's got a beautiful wife (Beckinsale) who he loves, the mind-trip sounds like the perfect vacation from his frustrating life - real memories of life as a super-spy might be just what he needs. But when the procedure goes horribly wrong, Quaid becomes a hunted man. Finding himself on the run from the police, Quaid teams up with a rebel fighter Melina (Jessica Biel) to find the head of the underground resistance (Bill Nighy). The line between fantasy and reality gets blurred and the fate of his world hangs in the balance as Quaid discovers his true identity, his true love, and his true fate. 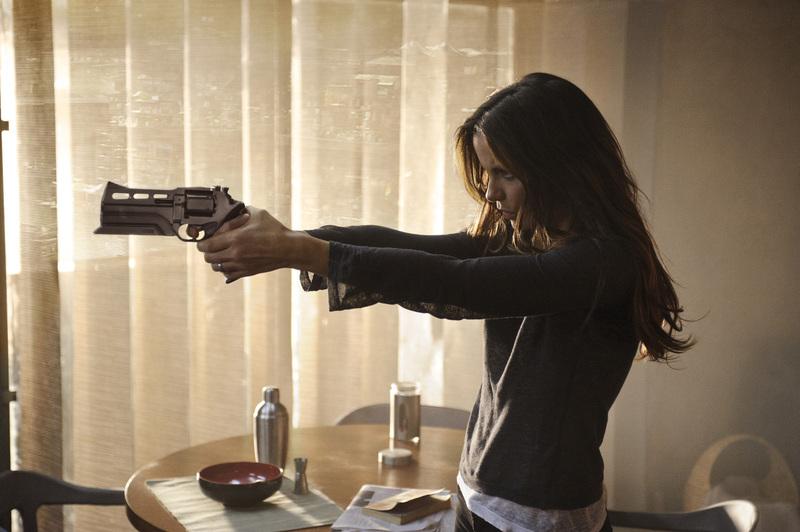 Beckinsale said she was particularly attracted to this project because of the role’s duality. "I've never played a bad guy before. I've always been on the side of truth and justice,” she says. “But the thing is, my character thinks she is on the side of truth and justice. That’s the great thing about this movie – you never know who’s on the right side. Also, there's a slightly maniacal side of her – she's slightly out of control, and that's always fun for an actor to play. “It was nice to not have to worry about whether the audience was on my side,” continues Beckinsale. “Also, the villain rarely has to be responsible for exposition and the plot. The villain really doesn’t have to do that, so you can really just kind of immerse yourself in her mood and her character and her motives, and it was kind of a treat. Opening across the Philippines on August 22, “Total Recall” is distributed by Columbia Pictures, local office of Sony Pictures Releasing International.